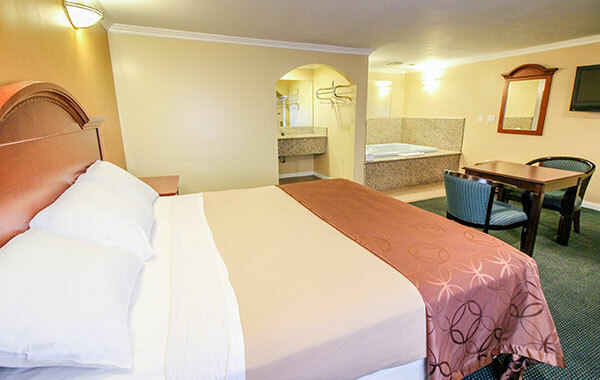 You'll have your choice of several contemporary rooms and suites at Carlton Motor Lodge. 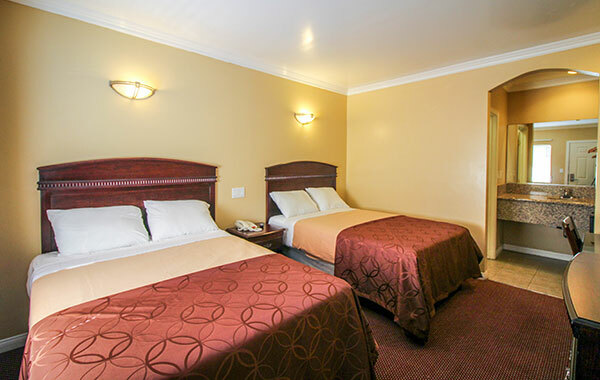 Our motel near Hollywood and Universal Studios boasts affordable accommodations with one king bed or two double beds, premium solid wood furniture, recessed lighting, and granite sink countertops. 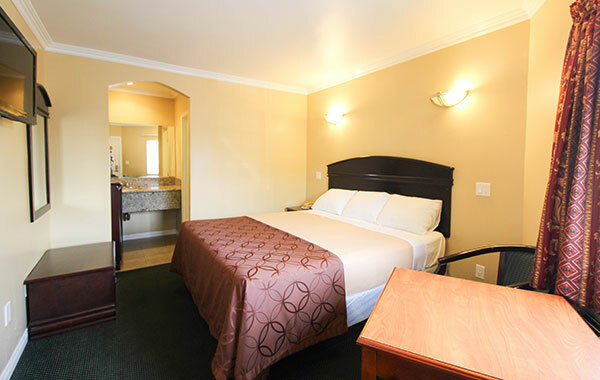 Stay in touch with your world back home via complimentary Wi-Fi throughout the motel. And if an extended stay is in your future, our fully equipped Kitchenette Room provides you with everything you need to make the most of your stay, no matter how long. One king bed and many amenities are the hallmark of this classic room. Enjoy everything from free Wi-Fi and flat-screen TV with over 40 cable channels to a refrigerator and microwave subject to availability. Designed for up to four guests, this inviting room features two double beds and plenty of extras, including free Wi-Fi, refrigerator, microwave (subject to availability) and flat-screen TV with over 40 cable channels. Spread out in this spacious suite with one king bed & a separate Jacuzzi tub. Additional amenities include an in-room refrigerator, microwave (subject to availability), flat-screen TV with over 40 cable channels & complimentary Wi-Fi.